Papua New Guinea’s government has deployed a joint security operation to destroy alleged free West Papua activist training camps along the PNG-Indonesia border. I’ve never read anything so lacking in balance like Jay Griffiths’ article in the Guardian. I cannot think of a more apt way to describe the anti-Indonesia vitriol that was pouring out of the Guardian thread following the article. I have downloaded the report that Jay Griffiths mentioned in her article from Allan Nairn’s Blog. I read it thoroughly and carefully, and it did mention the 15 names of prominent figures in Kotaraja, Papua, but I can not find anything about killing those people. The document is a Kopassus quarterly report without signature or proof of authenticity. I was hoping for some incisive analysis from an impartial observer but she’s obviously just had a boozy lunch with the Notorious Free West Papua Campaign and written this directly afterwards. What a clown ! JAYAPURA: Two civilians were killed and a soldier was injured as three people were reported to have attacked a military post in Merauke, Papua, on Friday. The attack reportedly took place at 8 a.m. local time, or 6 a.m. Jakarta time. Merauke: An attack on a border post between Indonesia and Papua New Guinea when two local inhabitants, Klemen Basik-Basik and Amandus Basik-Basik were shot dead is now under investigation. The two lost their lives because they attacked members of infantry battalion 132/Bima Sakti who were on duty at the post. 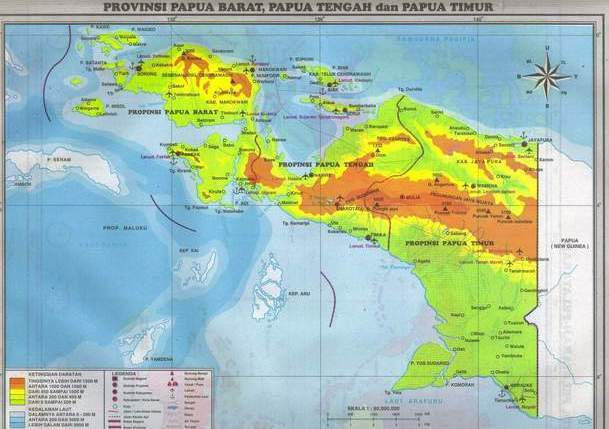 The alleged “genocide” in West Papua never happened since the population of native Papuans doubled under Indonesian rule (800,000 in 1971 to 1.8 million in 2010). Please read the latest statistic. It is statistically impossible for “100,000 people” to be killed due to the fact all tribal languages (each of which at average has only several hundred speakers) that existed prior to Indonesian rule, actually still exists today. Please read ethnologue. Papua IS NOT CLOSED TO FOREIGNERS since hundreds of foreign journalists have visited the place, and the fact that thousands of foreign expats work there in mining or as missionaries. The integration of Papua into Indonesia is completely flawless legally, as acknowledged by UN General Assembly Resolution, and by every country in the world.